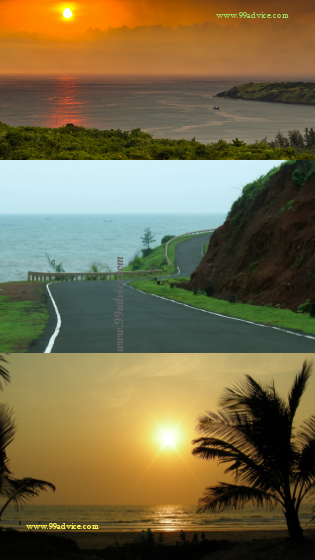 Ganpatipule is a beautiful beach destination, adjoining with the Konkan coast in the south of Mumbai. This beach is away from the crowd and an absolute right place for full enjoyment and relaxation. Traveling season is also begins with a festival when you can make a plan for a vacation in a relaxing mood. The month of September to March is perfect for going to a beach destination. However, if you have already enjoyed the beaches of Goa, Kerala, Tamil Nadu, and Odisha, then this time, you can plan to go to Ganapatipule in Maharashtra. This is a place where people not only go to see the Lord Ganesha but also for the vacation enjoyment purposely. The clear blue water of the huge ocean & the white sand spread over the edge of the sea, also extend the beauty of this place. 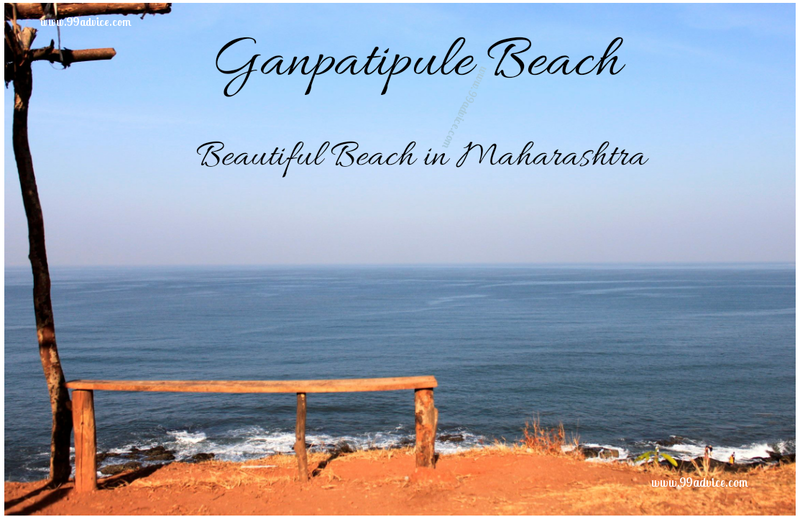 Along with the beach destination, Ganapatipule is also known for Konkani culture and food. About 375 km far, adjoining with the Konkan coast in the south of Mumbai, the name of this place is inspired by the name of Lord Ganapati. Where the idol of Swayambhoo Ganesha is believed to be a monolith which was self-created and allegedly discovered 1600 years ago. 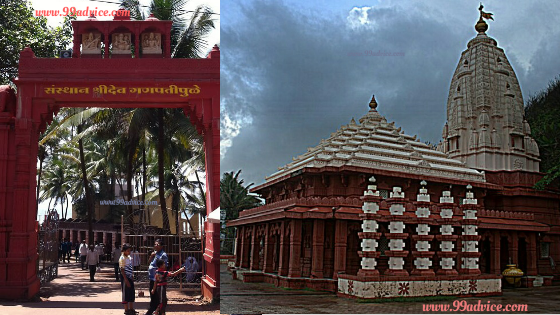 Ganapatipule is a small village located in Ratnagiri District. The village is famous for its 400-year-old temple of the Hindu GOD Ganapati. 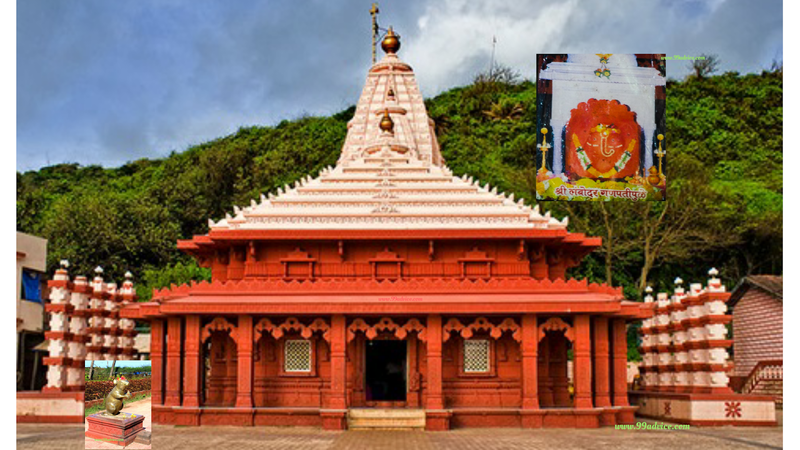 This temple stands tall in an interesting sort, the idol of Ganapati in this famous temple - faces west for the reason of guarding the western gates of the Konkan coast from any natural calamity. Along with surrounding beauty and temple, it is also amazing in itself, to watch the scene of sunrise & sunset. This is one of the top places to visit in Maharashtra and also one of the best places to visit near Pune. The Ganesha Temple in Ganpatipule is exclusive since it's among the few temples in the country in which the presiding god faces west. It is one of many Ashta Ganapati Temples of India, is known as 'Paschim Dwar Devata'. The temple is at the base of a hill, and pilgrims walk around (pradakshina) the hill as a mark of respect. There are two legends related to the name of Ganpatipule town. In pursuance of to one legend, after being insulted by a local lady, Lord Ganapati moved to Pule from his original abode of Gule. Hereby the region was named Ganpati-Pule. As per other belief, the town obtained its name from the white sand (or Pule in Marathi) from which the idol of Ganesha was created. Ganapatipule is a perfect destination for those who want to spend the long weekend with relaxation. Since this place has not been over crowded, tourists not only can see the sea views but also can enjoy its waves sitting there. The natural beauty here is worth seeing. Everywhere is only greenery and water. Many water sports such as Row Boats, Motorboats, Aero Boats, Paddle Boats, can be enjoyed on the beach between the months of November and May. Even paragliding facilities are also available. Ganpatipule is one of the only two white sand beaches in Maharashtra, the other being Kashid Beach. As the sea at Ganpatipule Beach is clean and clear, although swimming is not advisable due to the rocky stretches. Ganapatipule is a very beautiful beach on the Konkan coast. It is a favorite destination for peace-seekers, beach lovers and pilgrim alike. Being a religious place, there is always a rush of devotees in the temple of Lord Ganesh situated here. The tourist who came here also visits the temple. Apart from the beautiful beach and clear water, Ganpatipule is also rich in vegetable and there is plenty of Mangrove and Coconut trees. Resting amidst the lush green heritage of mangroves and coconut trees, and the deep blue sea with a clean beach and very few people around, it's a perfect place to enjoy with your family. Forget the hustle bustle of a city and enjoy the beach to the fullest. In Ganapatipule you must visit ‘Prachin Konkan museum’ here you can see a culture of Konkan region people. Apart from the beaches and the Ganapati Temple, there are many other tourist spots in Ganpatipule. Malgund about 2 km from Ganapatipule is the birthplace of the famous Maratha poet Keshavsut and houses a memorial of the great poet. Gaywadi beach near Malgund village is the hub of water sports activities in Ganpatipule. Jaigad Fort, Prachin Konkan Museum, Arey Ware Beach, Guhagar Beach, and Velneshwar are other attractions near Ganpatipule. Malgund is a small village located one kilometer from Ganpatipule, which is the birthplace of famous Marathi poet Keshavsavan. You can go to this great poet's house, which has now been transformed into a hostel. You can also see the memorial of the poet Keshavsut created by the Marathi Sahitya Parishad. Savory Modak, the favorite sweet of Lord Ganesha, is a must-have delicacy when in Ganapatipule. The Ganapatipule is known for the Modak, Alphonso & Hapus mangoes, Kokam curry, and Fish curry. 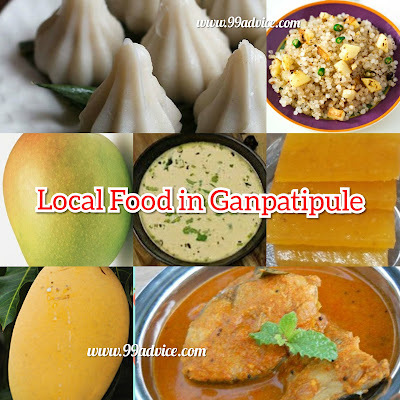 The other delicacies of Ganapatipule include Ambapoli which are basically pancakes made of dried and crushed mangoes and Phanspoli which are dried and crushed jackfruit as well as the Sabudana Khichdi. Apart from these specialties, one can enjoy traditional Maharashtrian food in the area too. There are a number of resorts and hotels in Ganpatipule but the facilities offered by most hotels are ordinary. To stay at Ganpatipule ‘Bhakta Niwas’ is also available here. If you want to stay in a private hotel there are many options are available. Maharashtra Tourism Development Corporation resort is also present here which is a just 2-minute walking distance away from the temple. Ganapatipule have a god gift clean and long beach. The entire beach is too beautiful. You can spend a quality time with your family on this beach. Nearest Airport - Kolhapur, and Pune is the nearest airport here. Rail Route- Bhok (35 km) is a nearby railway station. But it is easier to reach Ratnagiri (45 km) railway station and reach here. Road Route - Mumbai-Ganpatipule 375 km, Pune-Ganapatipule 331 km, Kolhapur-Ganpatipule the option of arriving by 144 km has. Thank you so much for Ur valuable feedback. 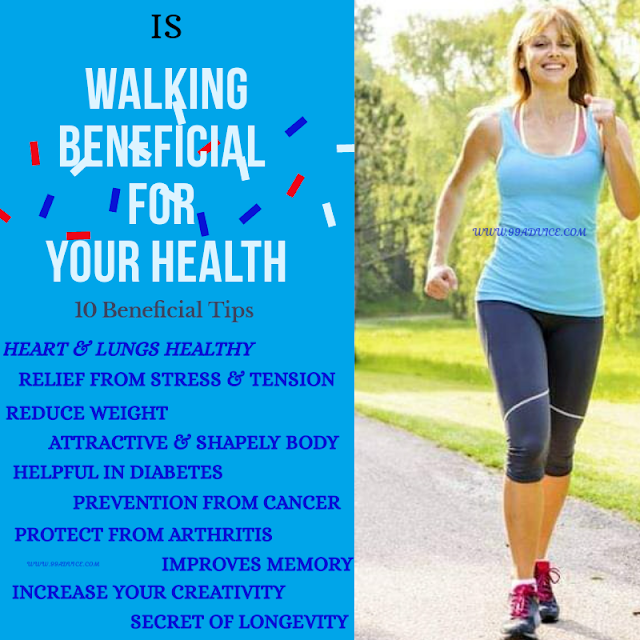 Kindly re-share our articles with ur family n friends.